The IRS has requirements and rules on who you can claim as a dependent. 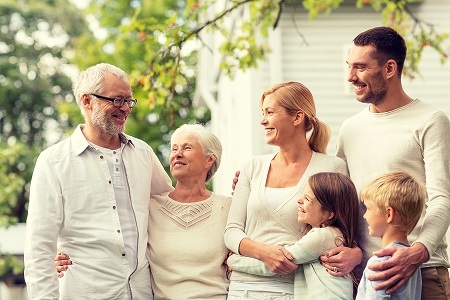 A “qualifying child” or “qualifying relative” can be claimed if they meet specific requirements related to residence, relationship to the tax payer, age, and personal income. Dependents can have their own tax returns, and even be married, but they must not have filed a joint tax return for the year unless it’s just to claim a refund. They must be a U.S. citizen, U.S. national, or a resident alien. They must have a taxpayer identification number. That’s usually a Social Security Number, but if the child doesn’t qualify for one, it can be an Individual Taxpayer Identification Number (ITIN) or an Adoption Taxpayer Identification Number (ATIN). The child has to have lived with you for at least half of the year. The child has to be related to you, whether that’s by birth or by marriage or adoption. The child must be under 18 years of age, or 24 years of age if they are a student. To be a student, the child must have attended school full-time during at least five months of the year. The five months don’t have to be in a row. The child must be younger than you (or your spouse, if married filing jointly), unless the child is disabled. The person cannot have a gross yearly income over $4,000. The person can’t be a qualifying child dependent of you or another person. That means you can’t claim the person if someone else could. The person must be either related to you or must have lived with you all year as a member of your household.